So many brands on social media that it’s hard to have a conversation on social media marketing platforms without mentioning the photo-based platform, INSTAGRAM. The app has over 800 million users and is projected to hit 1 billion in the first half of 2018. Yet businesses still have reservations about joining. Is Instagram marketing worth your time? 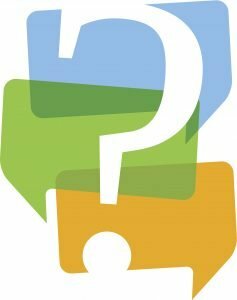 The short answer is yes, and here are five reasons why. 1. Visual Marketing is Increasing in Popularity. 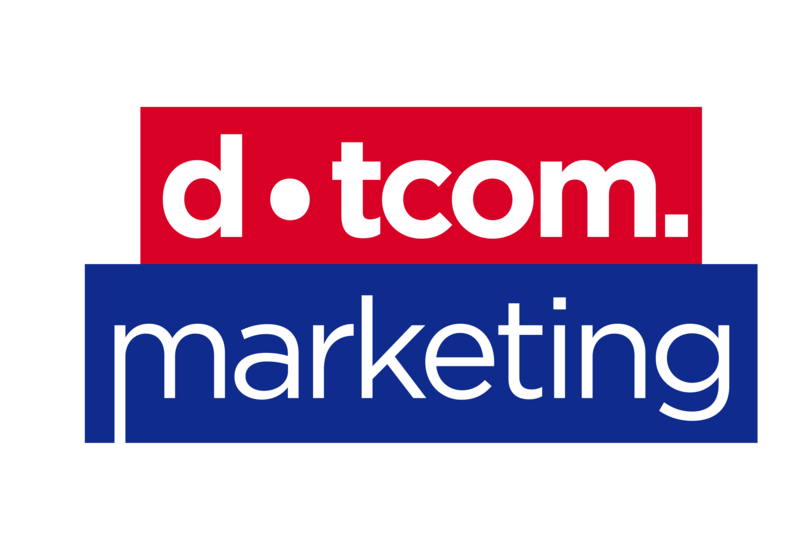 In the past, marketing has focused on witty copy and appealing ads. But now visual marketing, including images and video, are taking over. According to HubSpot, 51.9% of marketers see the best ROI from video. 2. The Instagram Platform Growth is Substantial. With projections for steady growth and that 1-billion-user benchmark approaching, any marketer should consider Instagram marketing. But it’s not just the numbers that are growing. Instagram continues to adapt and add new features. Recently changes include the ability to follow hashtags and save Stories, a previously temporary feature that mimicked Snapchat. 3. Build a Family-Friendly Connection. Although major platforms like Facebook are saturated with business ads, Instagram is still relatively newer to the advertising scene. Although its features are limited, Instagram has a Business profile option with analytics for both your profile page and individual posts. Added features like Stories Highlights and hashtag following are fun for users, but also give businesses an advantage. Use Highlights to put important information or announcements where visitors will immediately see them. And follow hashtags that are relevant to your brand, your competitors, or your industry to stay in the loop. 4. Pinpoint Opportunities for Engagement. Instagram makes it easy for consumers to interact with their favorite brand. And consumers have shown that they want to interact with businesses on Instagram. According to data collected in March 2017, 80 percent of Instagram users follow at least one brand and actively engage! This is a fantastic stat that proves you can connect with your audience with Instagram. Generating enough content for a regular Instagram strategy can sound intimidating, especially for brands that aren’t product-based. But part of your strategy can include user-generated content. Brands frequently repost content from fans, hold contests to generate new content and work with influencers. Instagram makes it easy to talk to your customers with them initiating the conversation! You will also be able to discover social influencers much faster with your new engagement. These social influencers are a good choice for your brand have a following among your target market and can sway their buying behaviors. Collaborating with an influencer relieves you from content creation duties and is fun for your audience! 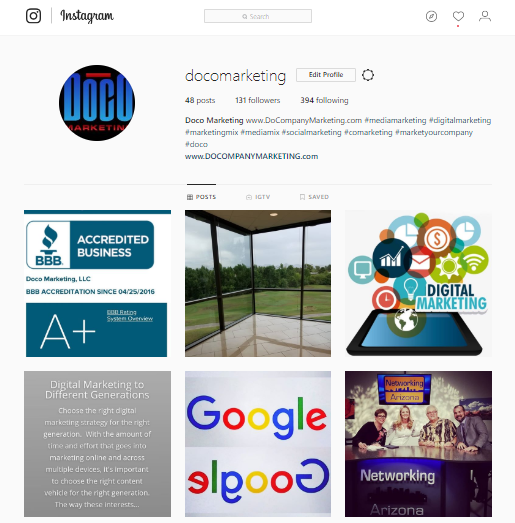 Started your Instagram with professional guidance from your social media marketing team at Doco Marketing today!